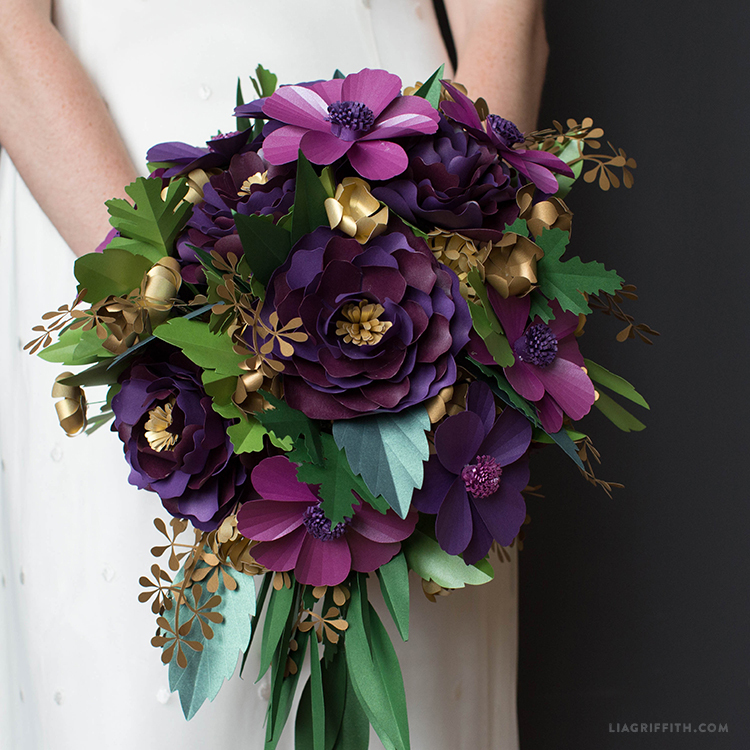 View all of Lia’s Craft School video tutorials here. I just recently purchased a Silhouette Curio and want to make flowers with it (among other things, of course). Can these be made with cardstock paper? Can any of your other projects be made with cardstock? I’m not sure if you are aware that the SVG files does not have any score line. 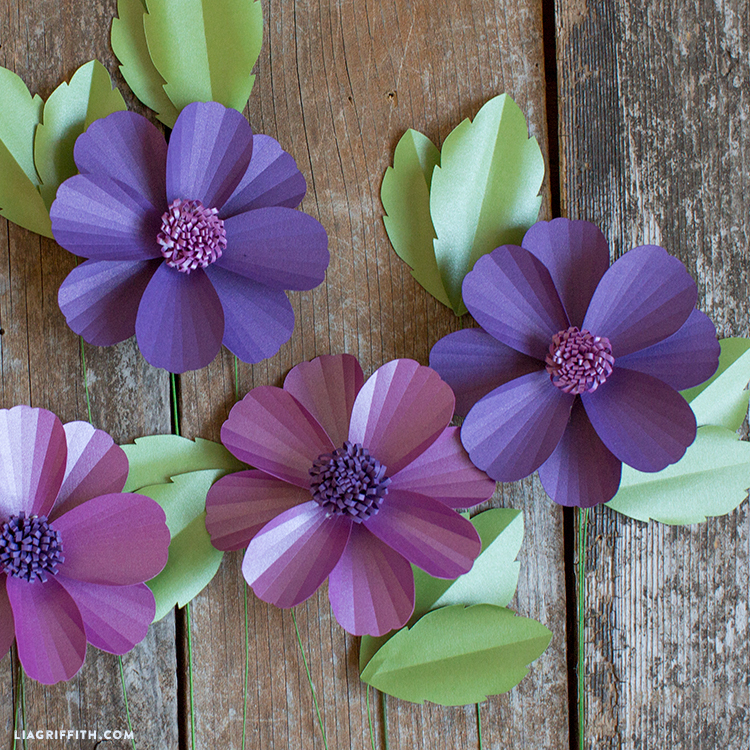 How do you estimate how many sheets of each color paper you’ll need to make each flower? I’m planning to make the floral bouquet but after looking at all the paper sizes (sheet size and pack size) on the Paper-Papers website, I’m a bit overwhelmed. Hi Judith! I’m sorry you’re having trouble. The downloads are working fine on our end– if you still can’t download, please send an email to hello@liagriffith.com and we can look into it for you!